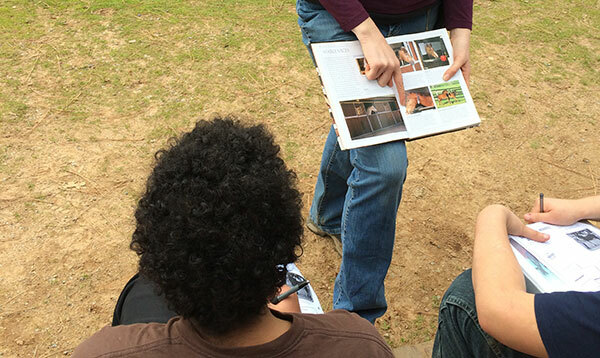 At Mountain Valley School, the curriculum grows around each student’s academic interests. Our curriculum is California State adopted and aligned with Common Core State Standards. Furthermore, our education team works closely with a student’s District of Residence to ensure the appropriate classes are assigned and credits earned in accordance with a student’s home school graduation requirements. An in-depth study of English grammar and vocabulary focused on the basics of reading, writing, speaking, and listening. Students will also read classic literature and work on writing skills. Examinations of US, world and ancient history, economics and geography. A comprehensive review of computational skills from vital basics to higher level math courses, including algebra, geometry and calculus. Earth sciences, geology, basic astronomy, chemistry, and physics in classrooms and labs. A variety of activities focusing on individual and team activities. Students learn skills necessary to perform a variety of physical activities as well as knowledge of physical fitness and wellness. An emphasis on developing an appreciation and interest in outdoor leisure time activities. Credits may be used toward the physical education graduation requirement.